Forgive the timeliness of this page. I am in the slow process of uploading all of the work I have done the past few years as an editor at SewStylish, Threads, Adorn, Cutting Edge, and more. Here is a small collection of works by me, including books, magazines, and more to come. Discover a list of treasures with a woodland theme, perfect for the autumn season. 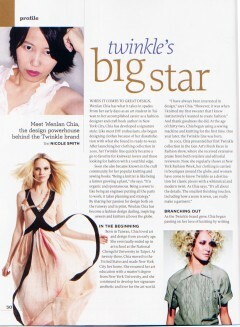 For the latest issue of STITCH, I had the great pleasure of interviewing the talented Wenlan Chia. Wenlan is the design powerhouse behind the Twinkle brand and author of Twinkle Sews, Twinkle’s Big City Knits, Twinkle’s Town and Country Knits, and Twinkle’s Weekend Knits. I look forward to Wenlan’s collections every season, so I was incredibly excited for the chance to chat with her about design, sewing, and more. 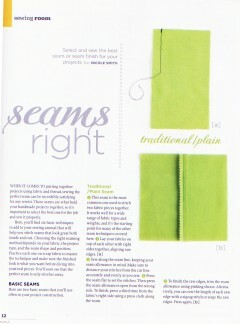 In the Fall 2011 issue of STITCH, you can find an article by me all about different types of seams and how to select and stitch them with confidence. 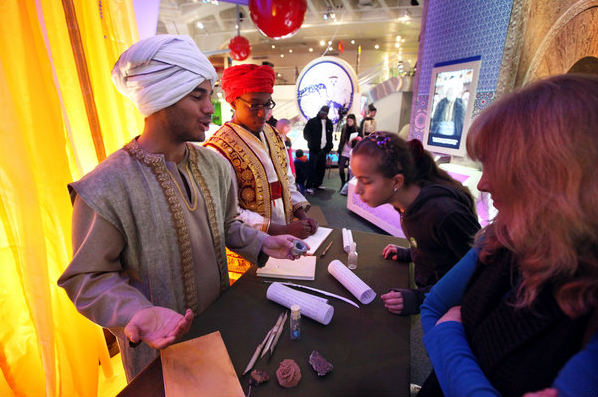 A few months ago, I began work on a project as the costume designer for the traveling museum exhibit, 1001 Inventions. Here is a handful of my garments that were featured in the Times. I have exciting news to share! My third book is underway and it’s all about patternmaking. 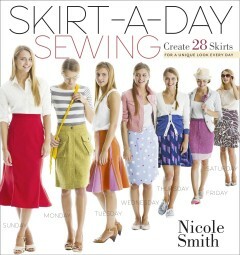 It’s to be published by Storey Publishing next year and will demonstrates 28 fashion sewing projects. 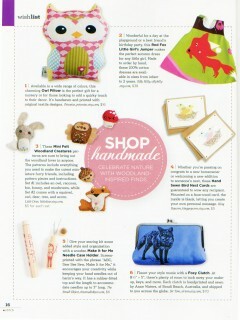 In each issue of SewStylish, I produce a fabric trend report article as a recurring front-of-book department. Every season I scour the designer fashion shows to determine the trends and then set out into the fabric district here in New York City. After much hunting, I gather up swatches from the Fabric District and pair them with runway shots from the season to create an inspiring trend board found in every SewStylish issue along with beauty copy to introduce and describe each look. 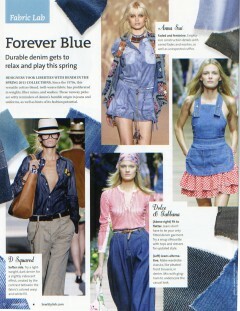 Forever Blue, from SewStylish Spring 2011.